(CBS News) Some big changes are coming to raw meat and poultry products sold at grocery stores, the U.S. Department of Agriculture announced today. 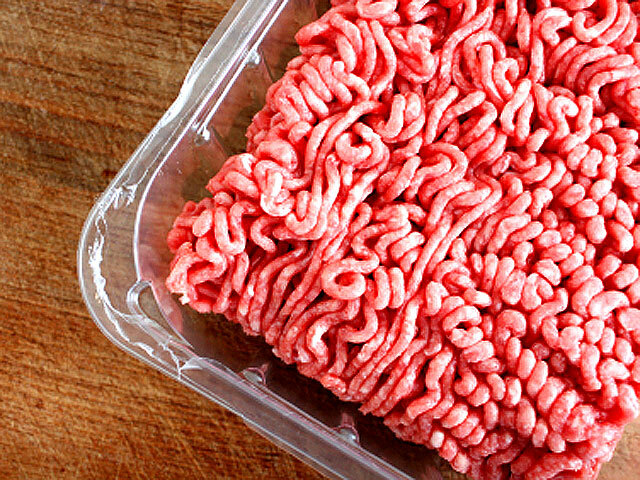 Under a new rule that goes into effect March 1, packages of raw meat - whole, ground or chopped - will carry nutrition fact labels. That means 40 of the most popular cuts of raw meat, such as chicken breasts, steaks or pork chops will have nutrition information. Buying meat from a butcher counter? There will likely be a nearby poster stating nutrition facts, the USDA said in a statement. Dr. Elisabeth A. Hagen, Under Secretary for Food Safety at the USDA, told HealthPop that the labels will contain the same information people are used to seeing and typically look for, such as calories, fat content, and sodium. Under the new rule, a package of meat that says it's 85 percent lean will now say right next to it that it contains 15 percent fat. Why is the USDA making this change now? "This administration has had a really strong focus since the beginning on safe foods and expanding access to nutrition food for everybody," Hagen told HealthPop. "Consumers are more interested in what's in their food than they've ever been. We want to be supportive of that." Hagen says people can use the new labels to guide their nutrition with the help of another USDA initiative, MyPlate. According to MyPlate, a lean protein should take up a quarter of a person's plate. Hagen says now people will be able to see how much lean protein they're actually getting. "You can't make the best choices if you don't have the right information," Hagen says. Some meat products already contain nutrition labels, such as prepackaged meats that contain additives like a marinade. The new changes will affect meats people typically purchase at grocery stores. Small businesses that grind meat and poultry are exempt from the rule, provided they provide lean and fat information and don't make other nutritional claims about the meat, such as "antibiotic-free." Hagen said grocery stores and meat manufacturers have been receptive to the change since consumers are becoming savvier about their nutrition. The changes are expected to add about a half-penny per pound cost to the products, a cost that likely won't be noticed, Hagen said. The nutrition label rule was first announced in December 2010 according to the USDA, but did go into effect until today to give manufacturers time to make the switch. Got questions about the new nutrition labels for meats? Visit www.AskKaren.gov or call the toll-free USDA Meat and Poultry Hotline at 1-888-MPHotline.